PLEASE NOTE: THIS IS AN OFF-SITE EVENT. 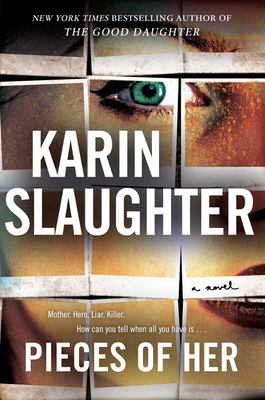 We're hosting Karin Slaughter at the Rehoboth Beach Library as she celebrates the release of her latest book, Pieces of Her. The #1 internationally bestselling author returns with a new novel in the vein of her New York Times bestsellers Pretty Girls and The Good Daughter - a story even more electrifying, provocative, and suspenseful than anything she's written before. Andrea knows everything about her mother, Laura. She knows she's spent her whole life in the small beachside town of Belle Isle; she knows she's never wanted anything more than to live a quiet life as a pillar of the community; she knows she's never kept a secret in her life. Because we all know our mothers, don't we? But all that changes when a trip to the mall explodes into violence and Andrea suddenly sees a completely different side to Laura. Because it turns out that before Laura was Laura, she was someone completely different. For nearly thirty years she's been hiding from her previous identity, lying low in the hope that no one would ever find her. But now she's been exposed, and nothing will ever be the same again. The police want answers and Laura's innocence is on the line, but she won't speak to anyone, including her own daughter. Andrea is on a desperate journey following the breadcrumb trail of her mother's past. And if she can't uncover the secrets hidden there, there may be no future for either one of them. The event will take place on Wednesday, August 22nd, beginning at 4 PM, at the Rehoboth Beach Library, located at 226 Rehoboth Avenue. It is free and open to the public; no prior registration is required. For more information, call 302-226-2665.